The Ondo State Command of the Nigeria Police Force (NPF) has been thrown into confusion after the disappearance of an impounded Toyota Corolla vehicle, parked in the custody of the police. It was learnt that the vehicle was impounded and parked within the premises of the Anti-Kidnapping Squad of the Ondo State Police Command in the Alagbaka area of Akure. The stolen vehicle, impounded a month ago and parked within the premises of the police station, had no battery but appears to have been mysteriously driven away from the station by yet-to-identified persons. Police sources who briefed our correspondent on Saturday about the case said the disappearance of the vehicle had remained a "mystery" to the officers in the Anti-Kidnapping Unit of the Police Command. “So, all the Police Sergeants that were on duty on the very day the vehicle was stolen from the station, particularly the ones on ‘counter-duty’, have been arrested and have been helping their superiors with the case. In fact, the Commissioner of Police, Mr. Gbenga Adeyanju, has shown interest in the case because it is a big slap on our faces. How can a thief enter into a station that is fully armed with officers and make away with the car? “Definitely, the operation has the hand of an insider, which could also be a policeman within the unit of the Anti-Kidnapping Squad, but I am sure we are going to unravel the person behind this mysterious disappearance. 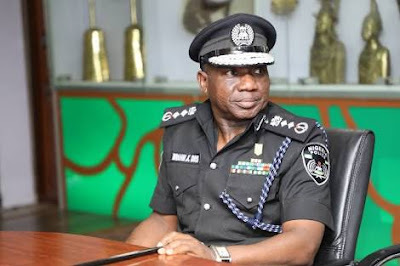 The Commissioner of Police has asked the State Criminal Investigation Department (CID) of the command to take over the case and ensure that the vehicle is recovered and the perpetrators are also arrested." A source in his office confirmed the incident via phone. The source said: “It is true the incident occurred, but the CID has taken over the case with a view to unravelling those who might have perpetrated this crime as it is a slap on our faces that a Toyota Corolla was stolen from our station".